TRILOK STEEL INDUSTRIES is prominent Manufacturer,Supplier, Distributors and Exporter of High Quality Stainless Steel Mechanical Tubethat are widely used for mechanical applications where corrosion-resistant or high-temperature strength is needed.Mechanical steel tubing is used in machined or formed parts of industrial, automotive, farm machinery, aircraft, transportation, materials handling, and household equipment. Seamless mechanical Tubing is produced to exact outside diameter and wall thickness dimensions.Trilok Steel Industries well known as Stainless Steel Mechanical Tube manufacturer in India.We stock a fully comprehensive range of Stainless Steel Mechanical Tubing, includes Stainless Steel 304 Mechanical Tube, Stainless Steel 304L Mechanical Tube,Stainless Steel 316 Mechanical Tube,Stainless steel 316L Mechanical Tube .Buy SS Mechanical Tubeat affordable price in India. Stainless Steel Mechanical Tube Applications Mechanical applications where corrosion-resistant or high-temperature strength is needed. 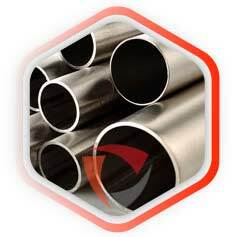 TRILOK STEEL INDUSTRIES is supplying Stainless Steel Mechanical Tube in different thickness, different diameter length, and in different quality.Generally, these Mechanicaled steel tubesHot rolled, hot rolled brushed, hot rolled pickled and oiled, hot rolled pickled dry, cold rolled, aluminized, galvanized, galvalume, galvanneal, high strength low alloy (HSLA), advanced high strength steel (AHSS), zinc-nickel, ULTRALUME® PHS, and ALUMI-THERM® are available in standard shapes including rounds, squares, rectangles and ovals, and other specialty shapes. SS Mechanical Tubes metric sizes ranging from 0.750 - 6.625 in. (19.05 - 168.275 mm) with wall thickness from 0.035 - 0.219 in. (0.89 - 5.56 mm). Austenitic and ferritic stainless steel tubing is available in rounds ranging from 1.250 - 6.625 in. (31.75 - 168.275 mm) with wall thickness from 0.032 - 0.109 in. (0.80 - 2.768 mm). We offer mill and cut-to-length options. Mechanical stainless steel tubesvarious application industry like oil & gas, pumps and petrochemicals, sugar mills and distilleries, cement and construction industries etc. According to the different applications, the stainless steel seamless Mechanical tubeshave different diameters. 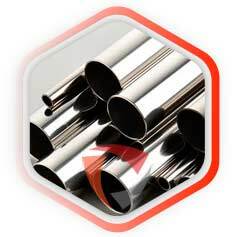 Whenever, any customization is needed, these Mechanical Tubes can be customized very easily.Trilok Steel Industries is specialized as providing Stainless steel Mechanical Tube in Polished Grit 120 - 600 finish.Mechanical stainless steel tubes are available as per requirement of application. check latest updated price of stainless steel Mechanical Tube. Stainless Steel Mechanical Tube Importer, SS Mechanical Tubing, SS Mechanical Tube Dealer in India, High Quality Stainless Steel Mechanical Tube, Stainless Steel Mechanical Tubes Exporter in India, Seamless Mechanical Tubing, SS Mechanical Tube for Pharmaceuticals Industries, Mechanical Stainless Steel Tube Exporter, Seamless Stainless Steel Mechanical Tubes. Suppliers of Stainless Steel Mechanical Tubes,304 Mechanical Steel Tubes,Stainless Steel Mechanical Tube Exporter, SS 304 Mechanical Tube Weight Chart, SS 316 Mechanical Tube Supplier in Mumbai, India. Stainless steel Mechanical Tubes are finished in accordance with customer needs regarding dimensional and wall thickness specifications as well as heat treatment for more demanding applications. In general a stainless steel Mechanical Tube is manufactured according to current standards API, ASTM, and ASME. If required for special projects we can also supply large diameter Mechanical Tubes. A These tolerances apply to cut lengths up to and including 24 feet. For lengths over 24 feet, an additional over tolerance of 1/8 inch for each 10 feet or fraction thereof shall be permissible up to a maximum tolerance of 1/2 inch.